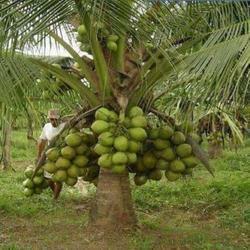 Offering you a complete choice of products which include dxt hybrid coconut plants. When the tall is used as female they are called T*D¿¿hybrid¿¿while the reciprocal is known as D*T¿¿hybrid.¿¿Hybrids¿¿perform well under good management conditions including nutrient management and irrigation. Characteristics¿¿Hybrids¿¿are the intervarietal crosses between the two morphological forms of¿¿coconut.